A solemn ceremony dedicated to the 75th anniversary of the Baku State Design Institute was held at JW Marriott Absheron hotel on 4 December. The director of the institute, Ilgar Isbatov, spoke about the difficult and glorious way the institute passed over these years. He noted that Baku State Design Institute has successfully fulfilled its mission since its establishment. Institute has solved urban planning problems of Baku city, developed schemes and projects of engineering and transport infrastructure. It has made great efforts and succeeded in the planning of the capital, its villages and towns, as well as whole Absheron area. I.Isbatov noted that millions of square meters of housing, including large neighborhoods such as 8th kilometer Ahmedli, New Gunashli, Yasamal, New Yasamal and New Surakhani, have been built in Baku by the efforts of the Baku State Design Institute staff. At the same time, a number of unique projects of the country – Heydar Aliyev Palace, Tofig Bahramov Republican Stadium, dozens of schools, kindergartens, hospitals and sports complex have been designed and built. It was emphasized that today the institute continues its historical traditions with a logical sequence and taking into account the realities of our time. 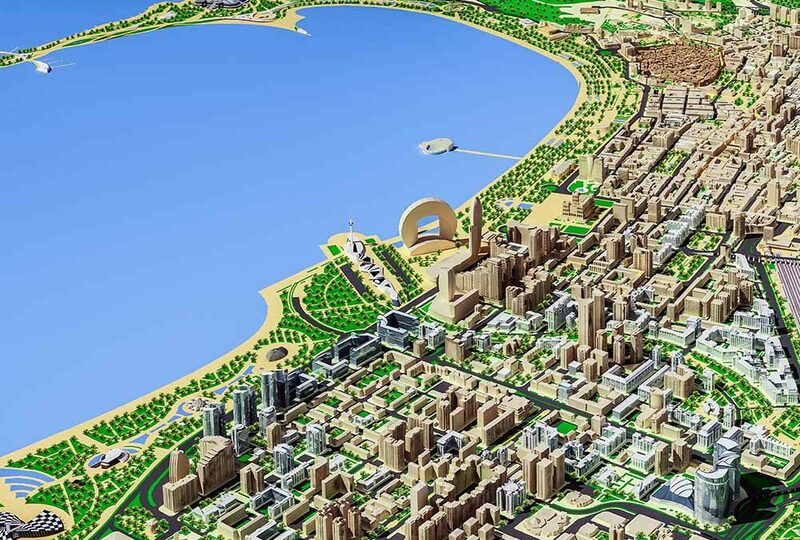 In recent years, Baku State Design Institute has made many achievements throughout the country, including beyond the borders of our country, and has developed Proper Baku Land use and Zoning Plan, as well as the “Greater Baku Regional Development Plan” covering 283,000 hectares is underway. Abbas Alasgarov, chairman of the State Committee for Urban Planning and Architecture, congratulated the staff of the institute on this remarkable day and wished creative successes to them. A.Alasgarov noted that 25 years of his life were closely associated with the Baku State Design Institute and shared his memories and spoke about the achievements of the organization in the economic development of our country. Rector of Azerbaijan University of Architecture and Construction, Member of the Milli Majlis, professor, Honored Architect Gulchohra Mammadova, well-known architects Rasim Aliyev, Chairman of the Union of Architects Elbay Gasimzade, and others wished the institute staff to keep their historical traditions alive and new achievements in reconstruction of Baku city, as well as in construction and renovation projects. In the end, a group of employees of the institute received honorary degrees.